Hypnotherapy High Wycombe - Changing States provides hypnosis, clinical hypnotherapy, EMDR, timeline therapy, biofeedback, hypno CBT, NLP therapy, hypnotherapy CDs and downloads. High Wycombe, London and Skype. Any medical information provided by this site is for information purposes only. The material is in no way intended to replace formal diagnosis by a GP or Medical Consultant if required. 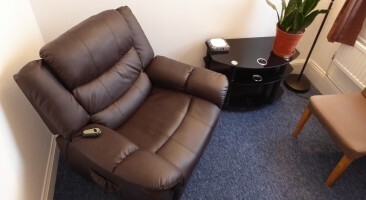 Changing States Clinical Hypnotherapy is based in High Wycombe as well as Central London. Confidential, caring, professional solutions for..
Addictions.. allergies.. anxiety.. asthma anxiety.. depression.. hypertension.. pain control.. phobias / fears.. panic attack.. smoking.. stress.. trauma / PTSD.. Click here for more treatable issues.. The intensive hypnotherapy, EMDR, NLP session takes around 2 hrs, there are no side effects & you will be completely in control throughout. 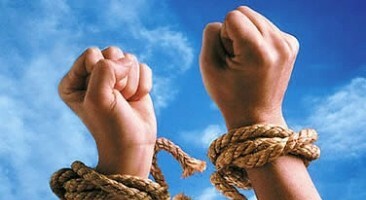 Most importantly, if possible, you will be helped to emerge as a non-smoker again! Buckinghamshire: Adstock, Akeley, Amersham, Aston Abbotts, Aston Clinton, Aylesbury, Beachampton, Beaconsfield, Bierton, Bledlow, Bourne End, Buckingham, Butler's Cross, Chalfont St Giles, Chearsley, Cheddington, Chenies, Chesham, Cublington, Dagnall, Dorton, Drayton Parslow, Edgcott, Edlesborough, Gawcott, Gerrards Cross, Granborough, Great Brickhill, Great Horwood, Great Kimble, Great Missenden, Grendon Underwood, High Wycombe, West Wycombe, Ickford, Iver, Ivinghoe, Ivinghoe Aston, Kingsey, Lacey Green, Little Horwood, Little Kimble, Long Crendon, Longwick, Maidenhead, Maids' Moreton, Marlow, Marsworth, Mentmore, Middle Claydon, Monks Risborough, Mursley, Newton Longville, North Marston, Padbury, Pitstone, Preston Bissett, Princes Risborough, Quainton, Rowsham, Shabbington, Soulbury, Steeple Claydon, Stewkley, Stoke Hammond, Stoke Mandeville, Swanbourne, Tingewick, Waddesdon, Wendover, Weston Turville, Wingrave, Worminghall, Wotton Underwood. Berkshire: Ascot, Avington, Bracknell, Burghfield, Caversham, Hungerford, Inkpen, Kintbury, Lambourn, Lambourn Woodlands, Maidenhead, Newbury, Pangbourne, Reading, Sandhurst, Shinfield, Slough, Stockcross, Thatcham, Theale, Tilehurst, Upper Lambourn, Windsor, Wokingham, Woodley, Wraysbury, Yattendon. London: Barking, Dagenham, Barnet, Bexley, Brent, Bromley, Camden, City of London, Croydon, Ealing, Enfield, Greenwich, Hackney, Hammersmith and Fulham, Haringey, Harrow, Havering, Hillingdon, Hounslow, Islington, Kensington and Chelsea, Kingston upon Thames, Lambeth, Lewisham, Merton, Newham, Redbridge, Richmond upon Thames, Southwark, Sutton, Tower Hamlets, Waltham Forest, Wandsworth, Westminster. Oxfordshire: Abingdon, Bampton, Banbury, Benson, Berinsfield, Bicester, Carterton, Chalgrove, Charlbury, Chinnor, Chipping Norton, Cholsey, Deddington, Didcot, Drayton, Eynsham, Faringdon, Goring, Grove, Harwell, Henley-on-Thames, Hook Norton, Kidlington, Kingston Bagpuize, Long Hanborough, Over Norton, Shrivenham, Sonning Common, Sutton Courtenay, Thame, Wallingford, Wantage, Watlington, Wheatley, Witney, Yarnton. Download MP3 versions of all of our hypnotherapy, CBT and EMDR CDs. Fellow and Diplomate Member of the British Society of Clinical Hypnosis | Required disclaimer: Clearly results may vary between individuals.